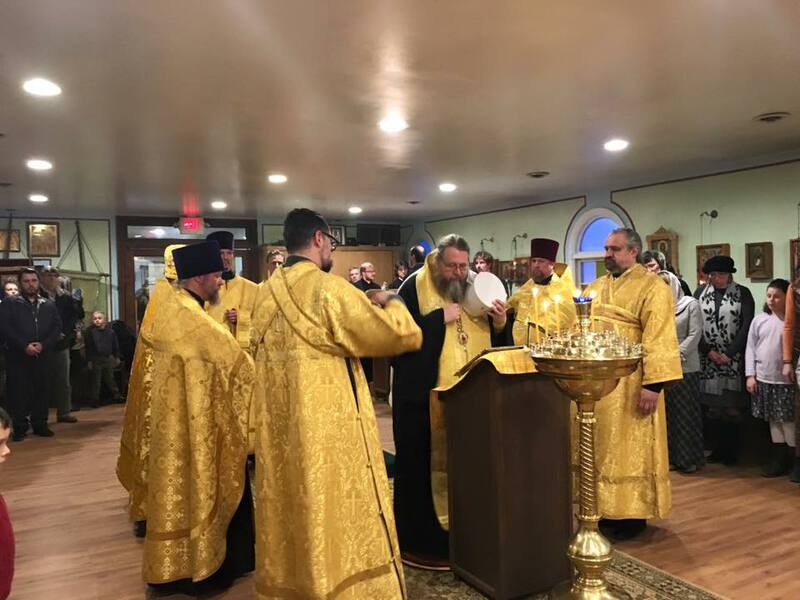 Ann Arbor, MI – On February 27 & February 28, 2016 His Eminence, Metropolitan Jonah, led the Divine Services at St. Vladimir Church here. 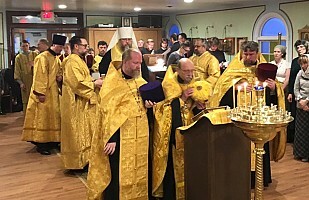 At Vigil on Saturday evening His Eminence was joined by Archpriest Roman Star of St. Innocent Church in Redford, MI; Archpriest Gregory Joyce, Rector of the St. Vladimir Parish; Archpriest Victor Trotskyy of Dormition Cathedral in Ferndale, MI; Protodeacon Alexander Kichakov of Protection Cathedral in Des Plaines, IL; Deacon Ioann Feloniuk of Dormition Cathedral in Ferndale, MI, Deacon Joseph Appling of St. George Church in Monroe, MI; and Deacon Vladimir Pyrozhenko of the St. Vladimir Parish. 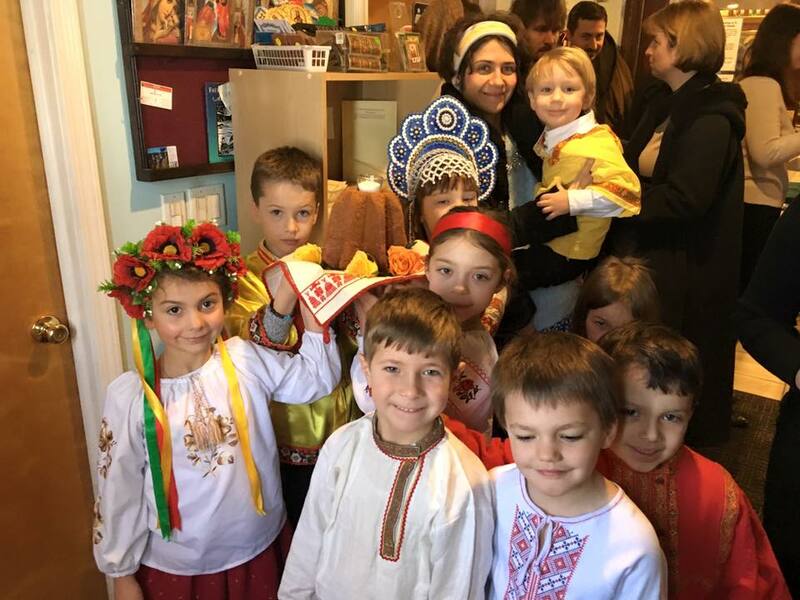 The parish choir sang beautifully under the direction of Reader Roman Vershhynin. 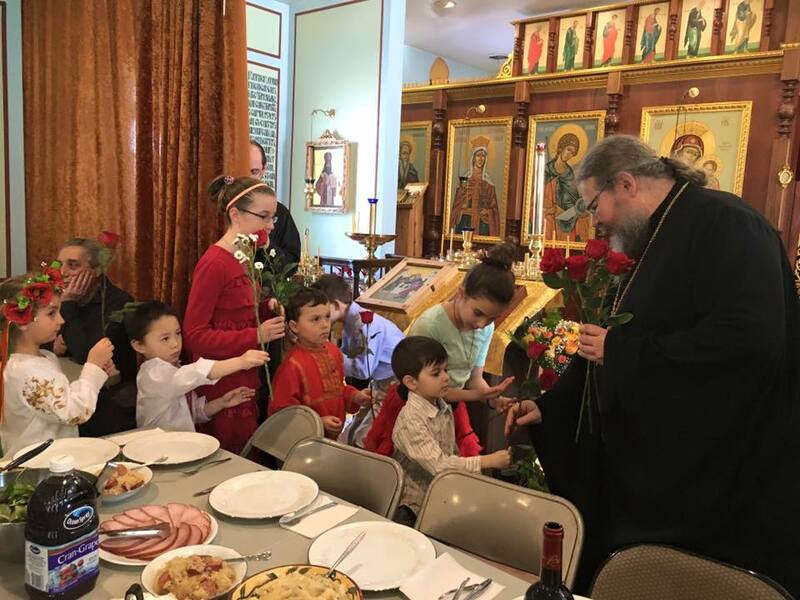 Following the Vigil the parish St. Xenia Sisterhood provided a bountiful meal in honor of His Eminence. 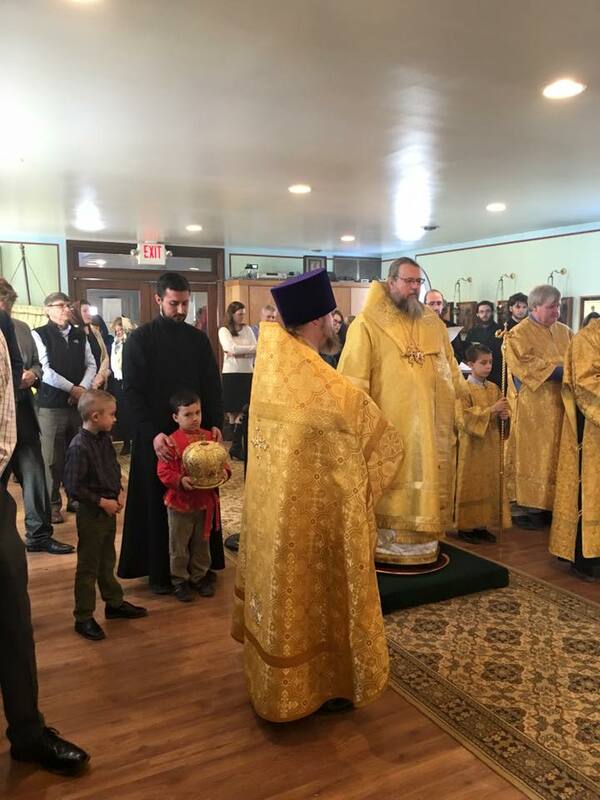 On Sunday morning, February 28, His Eminence was met by the pealing of the parish bells, by the parish's youngest Church School class, and by the parish Starosta, Nathaniel Longan. 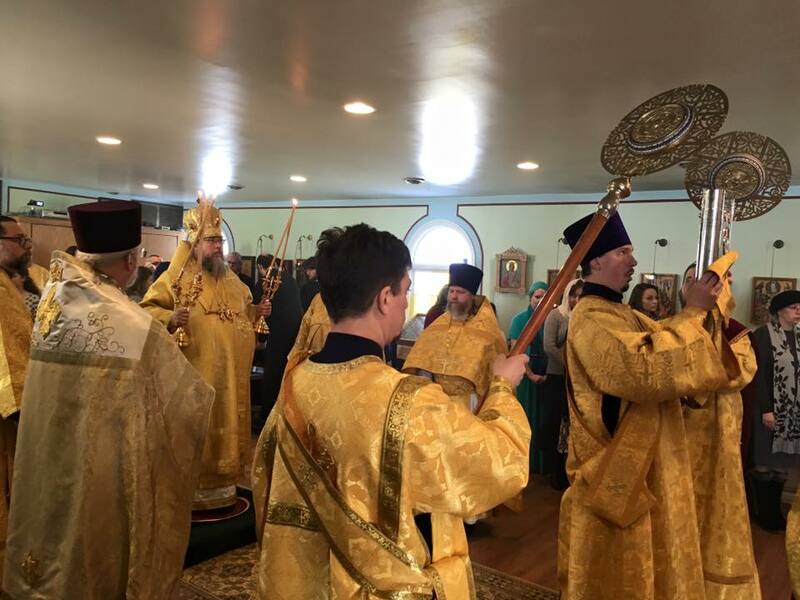 Metropolitan Jonah was joined at the Divine Liturgy by the above mentioned clerics, with the exception of Archpriests Roman Starr and Victor Trotskyy, who led Divine Services at their own parishes, and with the addition of Archpriest Andrei Alexiev, cleric of the Michigan Deanery. 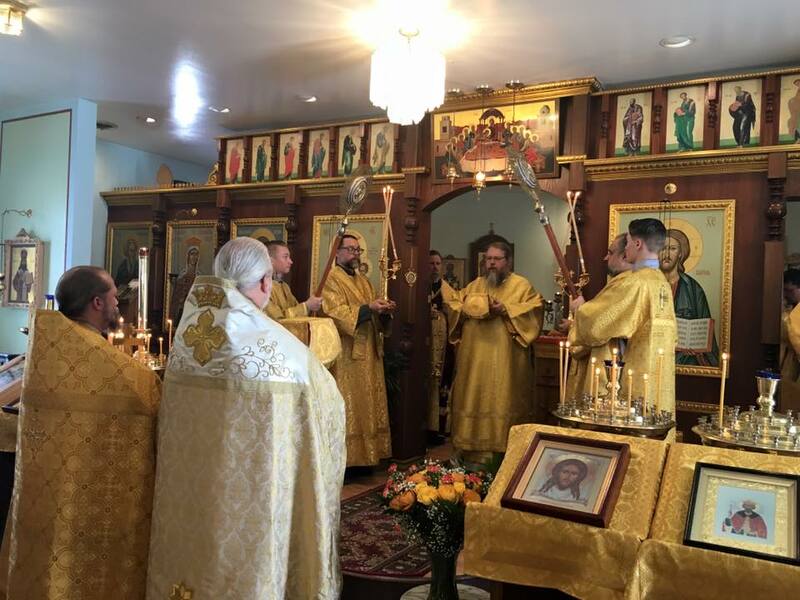 Following the Divine Liturgy, at which many of the gathered faithful partook of Holy Communion, a festive meal was held in honor of the Metropolitan's visit. 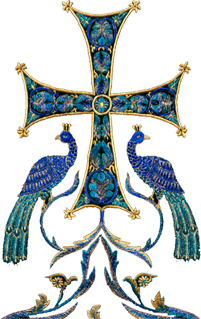 At the meal His Eminence delivered the parish's Inaugural Great Lenten Lecture. 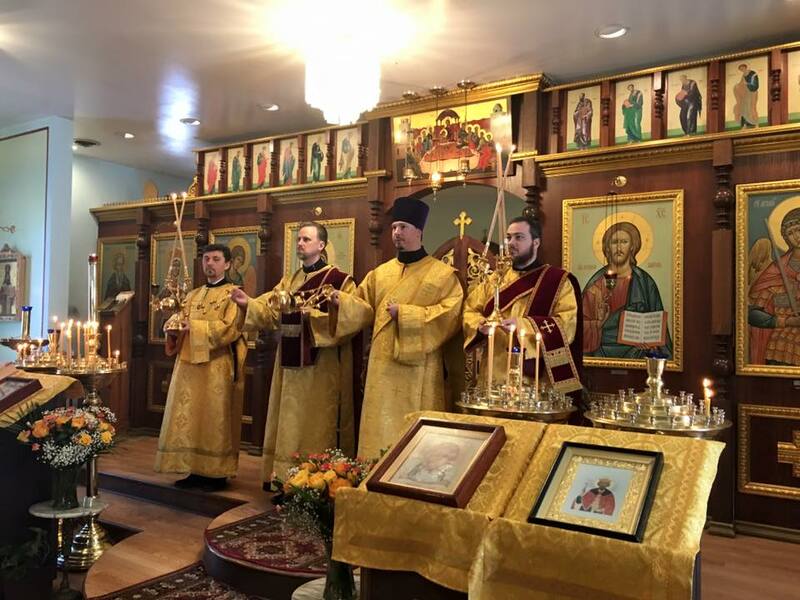 Additional lectures will be held on each Sunday of the Great Fast. In the evening His Eminence led a meeting of the parish's Young Adult Group, which was marked by a dynamic exchange of ideas between His Eminence and the youth. 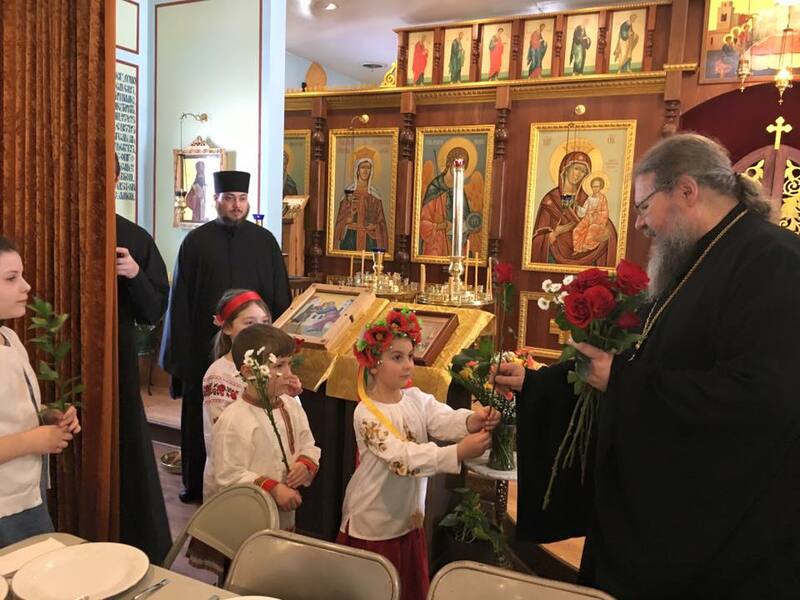 The parish thanks His Eminence for his hierarchal visit, and also thanks Bishop Peter for blessing the Metropolitan's presence in Ann Arbor. 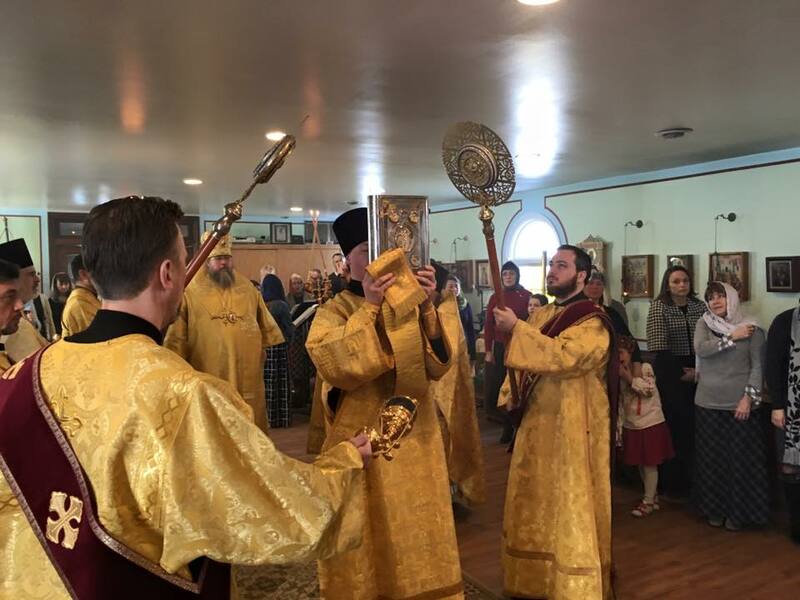 This visit very much helped the parish to prepare itself for the upcoming Christian Spring, Great Lent.